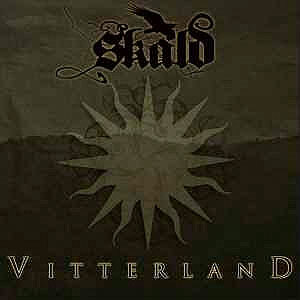 1st mini CD from '08 with 6 songs by this swedish band that plays a Pagan Folk Metal with violins and different chord and air instruments. 1st full length album by this swedish band that plays a Pagan Folk Metal with violins and different chord and air instruments. 2nd album from '08 by this russian band which plays a Pagan Folk Slavonic Metal with a deep voice and excellent melodies. 3rd album from '10 by this russian band which plays a Pagan Folk Slavonic Metal with a deep voice and excellent melodies now adding a female voicalist that sometimes gives them a touch in the vein of NATURAL SPIRIT. 4th album from '13 by this russian band which plays a Pagan Folk Slavonic Metal with a deep voice and excellent melodies now adding a female voicalist that sometimes gives them a touch in the vein of NATURAL SPIRIT. 6th album from '18 by this russian band which plays a Pagan Folk Slavonic Metal with a deep voice and excellent melodies now adding a female voicalist that sometimes gives them a touch in the vein of NATURAL SPIRIT. 5th album from '15 by this russian band which plays a Pagan Folk Slavonic Metal with a deep voice and excellent melodies now adding a female voicalist that sometimes gives them a touch in the vein of NATURAL SPIRIT.